Provide the opportunity for education providers to receive feedback from TEMI, ensuring endorsed activities accurately reflect the requirements of Global Workforce Management Industry practitioners. Each year Global Mobility Professionals are encourage to complete a minimum of 20 hours of CPD activities to meet their professional development requirements. Why Have Your Learning Activity Endorsed? 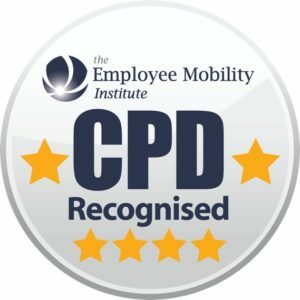 Displaying the TEMI CPD Endorsed logo on your promotional materials and Certificates Of Attendance, identifies to employers and delegates that the activity they have chosen to attend has been independently assessed and is deemed to meet professional development standards required by the global workforce management community. To have an activity approved for TEMI endorsement you must be a credible organisation committed to supporting the needs of our talent management and career mobility practitioners. TEMI will work with all applicants to promote the endorsed activity appropriately and allow use of the TEMI endorsement logo for marketing of the educational activity. To qualify for TEMI Endorsement, learning events and educational activities are assessed and approved by TEMI’s CPD Assessment Panel against a set of quality standards. Any continuing professional development activity for Global Workforce Management practitioners may be submitted for endorsement. NOTE: Please allow a minimum of 3 weeks for your application to be assessed. Once approved the event or education activity will be given TEMI Endorsement which will remain valid for the period linked to the activity application, as long as the content does not change by more than 10%. Where the content changes by more than 10% a new application must be submitted and approved by TEMI if the program is to continue to qualify for TEMI CPD Endorsement.